Physical activities such as running and jumping can cause irritations, inflammation and pain to the knees. It is much more common than one thinks with an estimated 30 to 50% of runners suffering from the condition in their lifetime. 1. 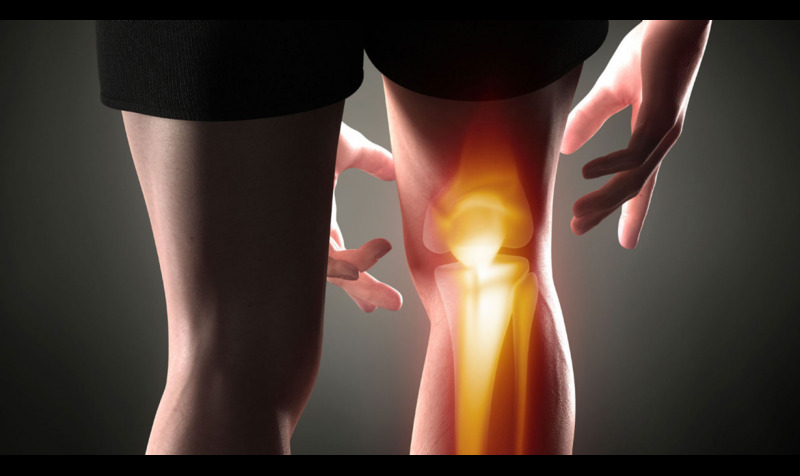 Dull and aching pain around the kneecap that worsens when walking down stairs, kneeling, and squatting. Basically any activity that puts a heavy load through the knee when it’s bent. 2. Dull and aching pain from sitting for a long time with knee bent. Overuse and overtraining without adequate rest and strength of muscles can lead to injury. This is because the kneecap is grinded against the knee with tremendous pressure. Another cause is if there’s an imbalance in the strength or flexibility of your quadriceps muscles, it can cause the kneecap to shift slightly causing friction that irritates the cartilage behind the kneecap. Research has shown people with poor quadriceps and calf flexibility with poor vertical jumping ability are all more risk averse to injury. As we mention time and time again, prevention in most instances is better than cure. Once a body part is damaged, even once healed poses higher chance of recurrence. Allow your muscle to strengthen over time rather than trying to improve your training in too short a time. Increase training gradually will allow your body to heal and strengthen before the next time you run. While there is no exact rule on how much, most experts recommend the 10% rule – thereby limiting your mileage increase to 10% or less each week. Strengthening your legs and quadriceps leads to greater efficiency, stability and control which may reduce the chances of runner’s knee. Weak and injured knees that leads to runner’s knee can be minimised by using selected brace such as the Inner-Fire Advanced knee brace that stabilise the knee when you put pressure on them. Running shoes can play a big part to give you support you need. Depending on your foot structure, different running shoes can minimise the chances of runner’s knee. A running brace or strap will ease the pain while running. Running on grass greatly reduces the impact on your knees. Could your running style be putting too much stress on your knees? Studies suggest landing on the forefoot or midfoot may minimise runner’s knee. Stretching can help to improve flexibility and performance while preventing injury. The best time to stretch is when the muscles are warm and pliable. Immediately after injury, it is best to apply RICE. It can help with muscle recovery and the immediate pain and swelling that occurs immediately after an injury. Compression – After icing the injured area, apply compression. You can use a bandage or brace on the area firmly but not too tight as to inhibit movement. How soon you should get back into exercise will vary depending from person to person and the severity of the injury. Some light exercise is good way to ‘feel out’ the recovery process. Our suggestion is to wear protective brace or running strap while easing back into your exercise routine. It is not advisable to wear the brace all day.